We’re enchanted by a $25 mouse from Satechi. 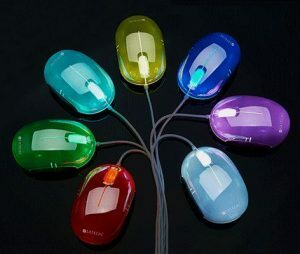 It glows in different colors, cycling through red, green, blue, lime green, purple, turquoise, and silver. Looks very space age. If you’ve got a favorite color, push a button on the back to lock it in. It works well and feels smooth, so color us gadget happy.